Foreign policy in America under President Obama is certainly one of mass estrangement, confusion and assisting in failed states. In Egypt the Obama administration favored a new Muslim Brotherhood regional order that upset Saudi Arabia; during the nuclear deal Iran was rebuked by Saudi Arabia and other allies of Washington; in Syria it appears that America wants a bloody stalemate; ISIS (Islamic State) is an enemy in Iraq but blurred lines in Syria; Kurdish groups deemed terrorist in America are assisting the US by stealth: and in Yemen the US is once more supporting Saudi Arabia against the Shia Houthis. This untenable policy is assisting failed states in Libya, Iraq, Yemen, and creating nightmares throughout North Africa and the Middle East. Likewise, the estranged Obama administration is fighting on the side of destabilization in Syria and constantly revamping new mercenaries that flip-flop with al-Qaeda affiliates at the drop of a hat. In Yemen, this mass contradiction can be seen once more because immediately Obama supported the Saudi Arabia led coalition against this nation based on Riyadh’s anti-Shia policy. This reality means that any goodwill with Iran is in disarray and the same applies to the anti-Shia agenda in Bahrain. At the same time, the feudal monarchy of Saudi Arabia is mystified by Washington’s dealing with Tehran. Therefore, this mass inconsistency is really adding to an increasing quagmire that is engulfing Libya, Iraq, Syria and Yemen. Indeed, the Kurds in Kobane understand this reality in the full because so-called NATO Turkey is a conduit for Takfiri jihadists in Iraq and Syria. Despite this, the Obama administration still supports Turkey and doesn’t seek to increase pressure on President Erdogan despite the many sectarian ratlines that lead to Ankara. However, the same Turkey did virtually zilch until enormous international pressure based on media images in Kobane made Ankara do the bare minimum. In other words, the ISIS and al-Nusra (al-Nusrah) nightmare that is slaughtering religious minorities and threatening the Kurds is being assisted by the intrigues of Turkey. Despite this, Obama then decided on another mercenary force to threaten Syria by working closely with Turkey while bombing ISIS in and around Kobane. Turning to Iraq then clearly America relies on various Shia militias that are taking the fight to ISIS. Similarly, the Kurds are another pivot in Northern Iraq. Indeed, the only unifying reality between Kurdish forces and various Shia militias is that they don’t trust Gulf powers and the intrigues of Turkey. Yet now in Yemen the Obama administration is favoring various majority led Sunni Muslim states. Not only this, it is difficult for the Obama administration to pin any national security threat against the Houthi Shia forces. Therefore, why did Obama make a decisive decision for once when it comes to Yemen? 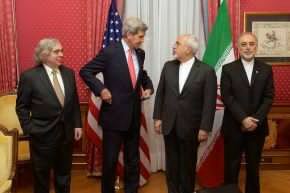 Iran also must question the recent thaw in relations with the Obama administration. After all, Shia Muslims are being butchered in vast numbers in Iraq because of the intrigues of various Gulf powers. Now it appears that Shia Houthis and loyalists in Yemen are also expendable to Gulf powers and Turkey. On top of this, various Takfiri Sunni sectarian forces threaten Christians, Alawites, and the Shia in Syria. Given this reality, then how can political leaders in Tehran and Washington deal seriously with each other when anti-Shia intrigues throughout the region are a reality based on the allies of America– and with Obama placating this on the whole, apart from in Iraq where America relies on Iran and various Shia militias in this nation to stem the ISIS tide. Of course, Iraq and Libya were firstly taken by force by outside nations prior to al-Qaeda affiliates and ISIS entering the equation based on the friends of Washington. Similarly, the same nations are trying to oust the secular government of Syria by force even when this applies to assisting ISIS and al-Qaeda affiliates. Therefore, America is assisting the most draconian nation in the world where not one single Christian church is tolerated in Saudi Arabia. In other words, the estrangement of the Obama administration is on full throttle, whereby so-called friends and foes are confused to the maximum throughout the region. The irony of the Obama administration is that while the Iraqi armed forces capitulated despite enormous American funding, the armed forces of Syria and the Houthi Shia armed forces in Yemen are taking the fight to al-Qaeda affiliates and ISIS (gradually growing in Yemen). However, the Obama administration is now involved in not only weakening the armed forces of Syria but now is trying to weaken Houthi Shia forces in Yemen. Even al-Qaeda and ISIS must be confused because the madness of the Obama administration is never ending. Therefore, Yemen is the latest fiasco that is leading to utter carnage and confusion throughout the Middle East and North Africa.